Fancy a good mystery? 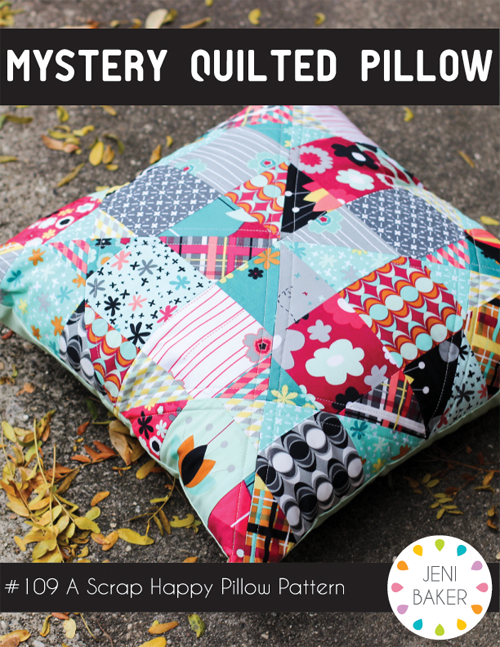 The Mystery Pillow Pattern plays with 9-patch blocks and scraps to create this fun look! Make the original pillow or an even scrappier version with smaller squares. Instructions for envelope pillow closure and zippered pillow closure are both included + a bonus quilt pattern! you! The possibilities are endless!